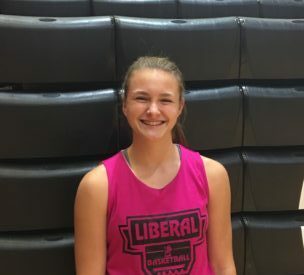 Liberal sophomore guard Katie Horyna is KSCB’s LHS Athlete of the Week. Horyna leads the 4-0 Lady Redskins averaging 15 points per game. He defense is dominant averaging six steals per game. The all state cross country runner also runs cross country and track. Horyna and the Lady Redskins play at Perryton Friday night at 6 on 1270 and kscbnews.net.